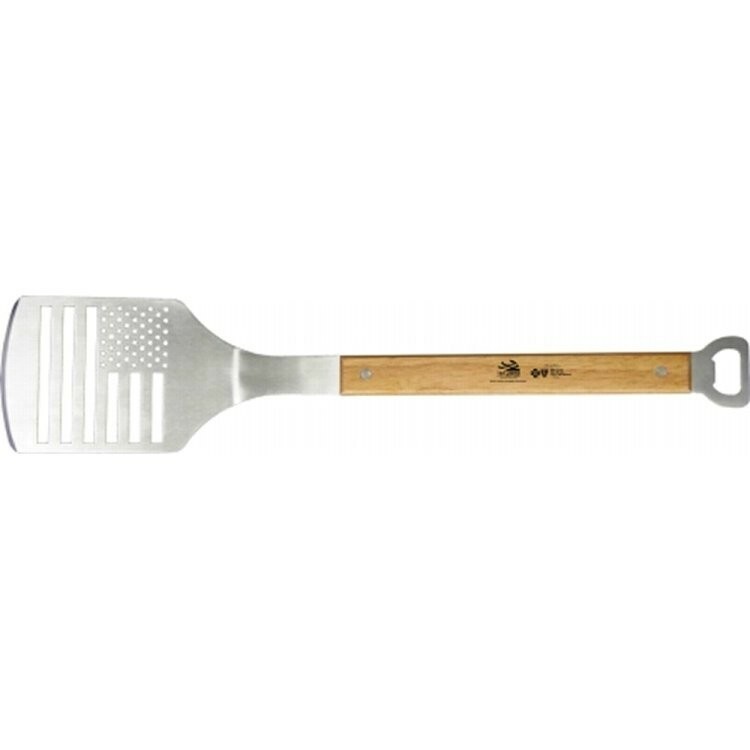 Give your clients something new to be excited about with this gourmet barbecue spatula and bottle opener. The generous length of the all hardwood handle keeps hands away from heat and flames while its full tang construction provides a balanced feel in the hand. The bottle opener doubles as a hanger making it easy to store while showing off the American Flag design stamped into the spatula head.